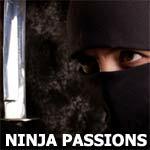 Daniel Fletcher and Sleiman Azizi studied ninjutsu under the tutelage of the venerable Masaaki Hatsumi of the Bujinkan Dojo and in The Art of Life and Death, they pay homage to their Sensei by revealing a host of insightful discoveries. As is the tradition in Eastern disciplines, these lessons are conveyed in stories, poetry, art and proverbs. Their words of wisdom about the nature of life and death will provoke thought and perhaps break through certain obstacles in your own life that prevent you from achieving transformation. There is a Japanese proverb that admonishes a student not to step on the shadow of his teacher. In writing this book, Fletcher and Azizi discovered that no matter how hard they tried to avoid stepping on it, their teacher's shadow was always there—a reminder of his influence on their lives while at the Bujinkan Dojo. And so, while The Art of Life and Death relates their own personal discoveries, it is also a testament to the vitality of the grandmaster and his budo teachings.